Peoples Potential Unlimited, a label from Washington DC, is on a mission to excavate forgotten treasures of funk and soul. It was only recently when Andrew Morgan’s label issued a seven-inch by Uku Kuut, bringing the artist’s past not only to the consciousness of native Estonian audience, but also attracting wider recognition. Now the time is ripe for a LP, a collection of vibrating funk from Kuut’s teenage years. 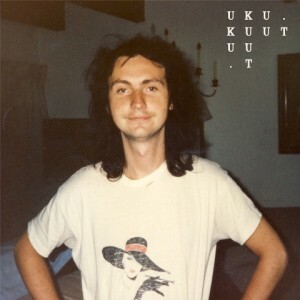 Exiled with his mother Maryn Coote (Marju Kuut) from the Soviet Union, Kuut recorded most of the tracks in the home studios in Santa Monica and Stockholm. He also produced for Maryn and used for a while in Herbie Hancock’s studio, though not having a chance to meet the master of funk himself, Kuut told to Eesti Ekspress newspaper. There are no weaker links in the LP and because of its integrity it feels like being produced as an album right from the start. Two versions of the title track “Vision Of Estonia” are blue funk tunes with velvet percussion, for feeling the Northern breeze at Estonian seaside. “Mayday” is clearly a track destined for floor action, featuring awesome boogie spirit with Maryn’s and Uku’s vocal contribution. “Dream Lover” sounds like not fully cooked, showing the unrefined and hectic side of funk. “Stevie Bossa” would work as a tribute to Stevie Wonder, while “Soft Fashion” and “I Ask U Now” represent delicate side of the LP. For the end, in big city dilemma “Right Or Wrong” the man himself does the vocals. On this very album Kuut, now 47 and living on the island Saaremaa, proves that white guys born at the 60th parallel North can funk too. “Vision Of Estonia” is like a good wine without any real expiry date. For sound clips and vinyl purchase go to PPU or Rush Hour, for a CD. Also thanks to Biit for delivering a copy to myself plus a few dozen people in Estonia.